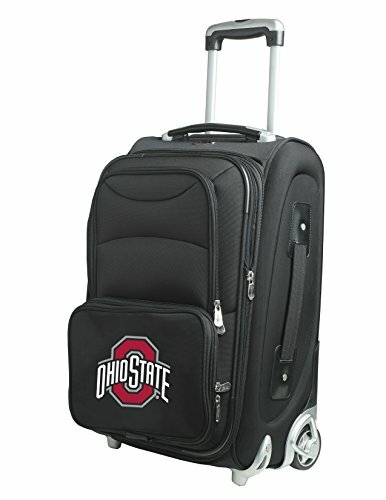 Show of your team spirit with the L203 NCAA 21-Inch Carry-On by Denco. This dependable carry-on has a fully lined interior with garment straps, 2-inch expandable main compartment with book style opening, large mesh interior pocket and two exterior front pockets for tickets, magazines or travel necessities. It also features a padded top, side and bottom grab handles that makes it easy to lift no matter how it is stowed. Another great feature is the telescoping aluminum handle system with locking mechanism. It also boasts your favorite embroidered team logo on the front, and is the ultimate way to showcase your team spirit. Officially licensed, 1 Year manufacturer limited warranty.